Product #60536 | SKU 64024 | 0.0 (no ratings yet) Thanks for your rating! 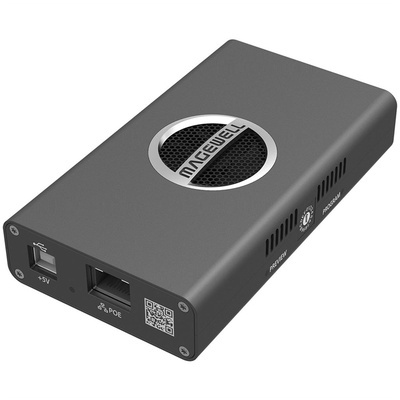 Convert HDMI video to an NDI stream with the Magewell Pro Convert HDMI Plus . Pro Convert features one HDMI input and one HDMI loop-through output with eight channels of embedded audio, and it supports HDMI input up to DCI 4K 4096 x 2160 at 60 fps. The RJ45 Gigabit Ethernet port supports encoded NDI output up to 2048 x 2160 8-bit 4:2:2 at 120 fps.